Are you tired of your kitchen’s outdated or run-down appearance? If you want to give your home a fresh new look without spending a large amount of money, refacing cabinets may be the best choice for your remodeling project. Refacing your cabinets will likely prove much more cost effective than a full replacement. If you are attempting to remodel on a budget, this may help your project stay on track. 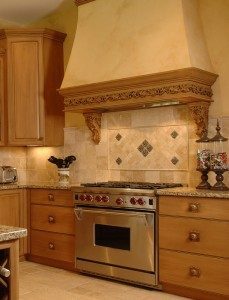 Refacing is an especially good option if you like the layout of your cabinets and if they are still structurally sound. If your cabinet frames are significantly damaged, however, you may need to think about fully replacing them. Another possible reason for replacement would be if you do not like your cabinets’ layout, which cannot be changed through refacing. Refacing cabinets will provide a whole new look for your kitchen with less expense and effort. This may be especially beneficial if your current cabinets have outdated or damaged doors but are otherwise structurally sound. Refacing can take the form of painting or adding a veneer, but many homeowners choose to install new cabinet doors and hardware. When it comes to kitchen renovations, speed is important. Your kitchen is vital to your daily routine and family life. The longer your kitchen is under construction, the longer it may not be available for use. Refacing tends to require less effort than a full replacement, which means a quicker and more convenient process. This may allow you to start enjoying your updated kitchen sooner. If you are remodeling or renovating your kitchen, you will need to carefully consider whether refacing cabinets is right for you. Refacing has a number of benefits, including speed, convenience and lower cost. Damaged cabinet frames may require replacement, however. You can consult an expert, like our team at Nu-Face Home Improvement to help you decide which choice is right for your home. For more information call us or click here for a free quote.